Construction of soil and aggregate layers on steep slopes or over potential voids is becoming more common in many areas of the country. This is because the construction of new waste containment and liquid impoundment facilities and the expansion or closing of old waste facilities has become environmentally necessary to assure protection of groundwater supplies. Often these facilities must be designed to maximize storage volume, creating steep slopes, or to overcome inadequate foundation conditions, including foundation voids, while incorporating the best available containment technology. Thus designers are commonly faced with assuring the integrity and stability of sophisticated containment systems constructed on steep slopes and over void-prone foundations. 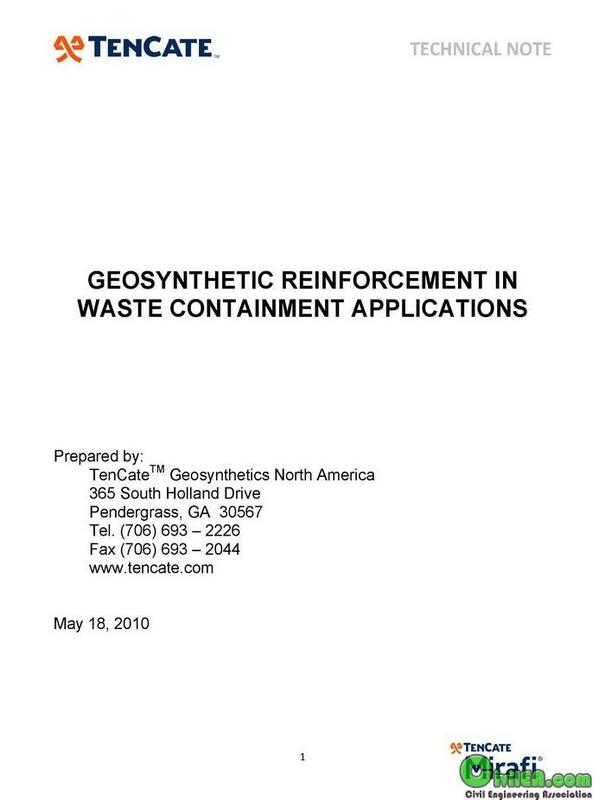 To assure optimal performance, state-of-the-art waste containment systems commonly include both conventional soil materials as well as geosynthetics. Yet, system instability or damage may result when soil - geosynthetic layers are placed on a steep slope or over a void. Reinforcing these soil layers provides a cost effective means to achieve long-term stability of soil - geosynthetic lining systems.